Do you love fairytales? 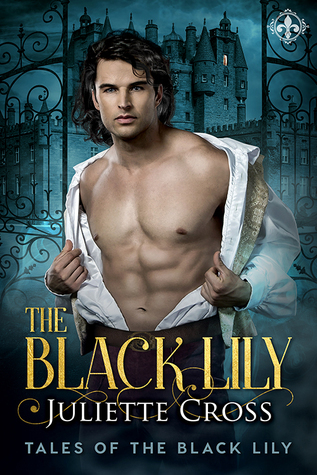 Well, The Black Lily puts a new spin on an old classic. Cinderella got turned on its head in the best way possible. The author has done a sublime job recreating on an old classic and adding her own unique spin. Arabella is a tough woman, who has not had an easy life. She’s fearless and courageous. Instead of giving in, she has planned and vowed to change the status quo. Then there’s Marius, our vampire prince and alpha hero who goes on the hunt for the woman who tried to kill him. Not because she tried to kill him, but because he wants more of the passion he found in their first kiss. The chemistry between these two was a sweet slow build and smoldering hot. This story is rich in secondary characters. They were all exquisite, unique, well developed, and promise many opportunities for future books. I enjoyed all that were introduced and look forward to see how things develop and where they go. OMG, the prologue is just gripping. It opens us up to what the world is like and how Vampires rule. The story is enchanting and memorable. I was on the edge of my set and couldn’t put The Black Lily down. The characters are fascinating, alluring, and gripping. The world building is outstanding, the story is well written, riveting and awe-inspiring. We are treated to a little mystery, action, adventure, heartache, and romance. Truly, this is going to be a fantastic new series! Yes, it’s built on old fairy tales, but don’t let that fool you into thinking you will know how things end. I’m looking forward to the next installment. *Disclaimer: I received a complimentary copy provided by Entangled Publishing via NetGalley with the sole purpose of an honest review. All thoughts, comments and ratings are my own. I have never read this author, but I’ve seen a lot of good reviews for her stuff. I do love this little play off Cinderella! I really enjoyed the new twist on Cinderella. The author put her own spin on it and It was nothing like the original Cinderella. I devoured The Black Lily and can’t wait for the next installment. I’ve fallen for Ms. Cross as an author and have put her on my must read author list for each and every new title she puts out. Her dragons aka Morgan men and women are fabulous. Thank’s for stopping in and check out my review Angie. I love Ms. Cross. Her Morgan men (Nightwing series) hooked me. I love dragons. This one The Black Lily is a brand new series. I really love the new spin on the fairy tail. Hope you enjoy and thank’s for stopping in and checking out my review.